At some point when I wasn’t paying attention, Play-Doh enlisted The Joker and James Bond to train my children how to play with it. They all worked together, compiling their maniacal-evil-genius and their handsome-devil-spy-intelligence, along with my household schematics, and systematically developed the best laid plans to completely take over my home. Even under my plastic-matted watch, Play-Doh still manages to sneak its way into every crevice in my kitchen floor and onto my favorite furniture in OTHER ROOMS. Later, when I’m getting ready for bed, I’ll find a big dried clump of the stuff behind my ear. I’m dealing with a new diagnosis of Rhuematoid disease, and one of the symptoms is hand pain. A few weeks ago, my hands were rebelling against me and I couldn’t open the little tubs of dough. All of the sudden I loved Play-Doh more than life itself. All of the sudden Play-Doh became all the things. What if I can never play Play-Doh again?!!! I adore Play-Doh! No I am not happy right now. It’s okay for mommy to cry sometimes. It’s okay to be sad when we hurt because I NEED TO WALK YOU DOWN THE AISLE ONE DAY!! Kev came home to open the Play-Doh and to sit with me and to remind me that I hate Play-Doh so I should take advantage of this very valid excuse to watch The Aristocats for the ten thousandth time. 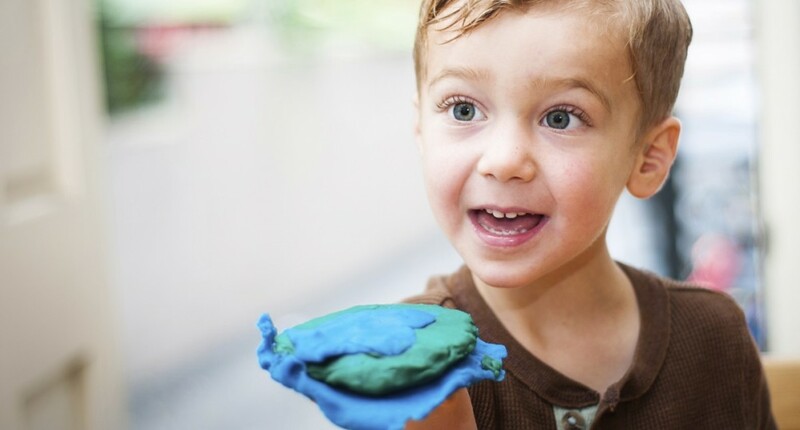 And to tell me, tenderly, that I will play Play-Doh again soon. Pain ends. Also to say that our sons might need a lot of future Oedipal Therapy if I keep up all this walking them down the aisle talk.